Extreme365, just completed in Dubrovnik, Croatia. What an amazing, beautiful and fun location for a great Dynamics conference. A week surrounded by amazing people sharing knowledge while having fun. This was special for me as this was my first Extreme 365 conference speaking engagement. I presented my take on “Modern Approach to integration with Dynamics 365“, the session was well attended and very well received. Thank you all who attended my session. The conference coincided with spring release announcement of Next version/ generation of Dynamics 365. This was one of the biggest Dynamics release announcement. for the first time, Microsoft had to release document rather than release notes primarily because of the number of changes being shipped on this release. With this release Dynamics, 365 becomes the Application platform for business application. We also watched live streaming of Business Forward’s in Amsterdam with Jean-Philippe Courtois, Alysa Taylor, and James Phillips at the conference. CDS 2.0 & Powerapps: With the Spring release, Microsoft is shipping lot of changes to CDS and Powerapps. Powerapps is the platform for Dynamics 365 now and CDS 2.0 is the new XRM. Flow will become part of Dynamics 365 Offering and will be the primary way to do build automated process and workflow. MS Teams is coming to Dynamics 365 soon, this will change the way we collaborate from within Dynamics 365. Custom Control Framework (CCF) will be coming soon, Custom control is currently available but with CCF developers will be able to build there own control within Dynamics 365, Paul Mare showed us CCF in action, CCF will allow us to interact with data in CRM in a whole different way. I am excited and waiting for this to be released. CDS – A: Common data service for Analytics capability in Power BI is released. CDS A includes business application schema built on the CDM, as well as connectors for Microsoft and third-party data sources. Power BI apps that leverage the CDS – A will get out-of-the-box insights that can be easily customized and extended. Extreme 365 was great, Enjoyed many informative session by Industry experts, Microsoft Product team and Dynamics MVP’s, I especially enjoyed all the session by Matthew Barbour. 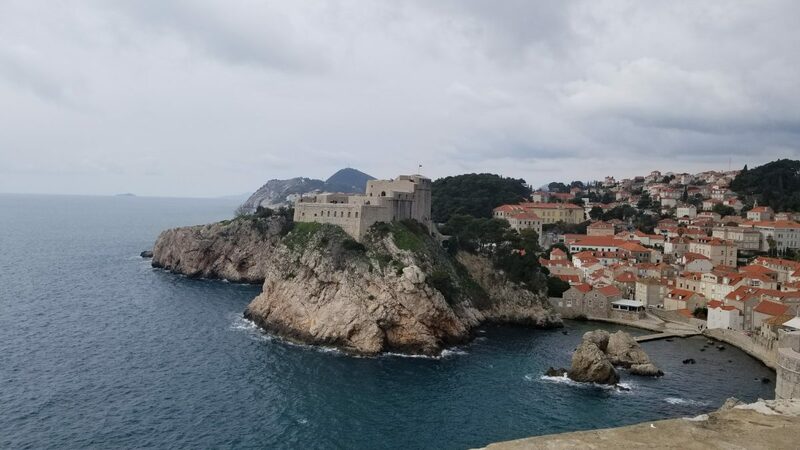 I also got to see the Dubrovnik old town and do the Game of throne tour, I am a huge GOT fan and many of the key scenes of GOT is shot in Dubrovnik. Thanks to the Extreme365 team for the event, can’t wait till the next one!